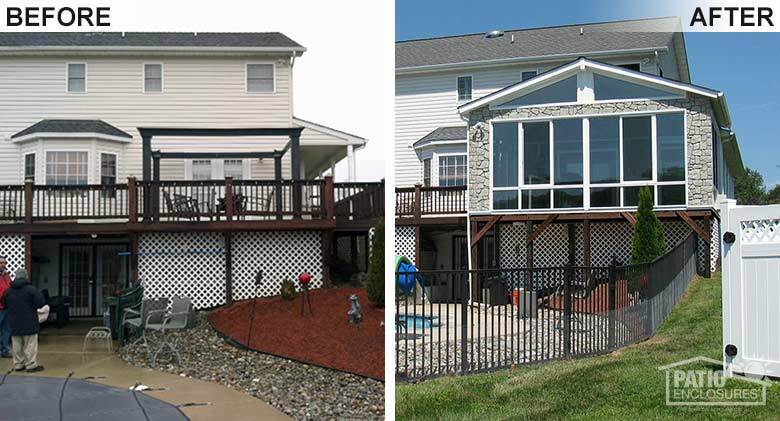 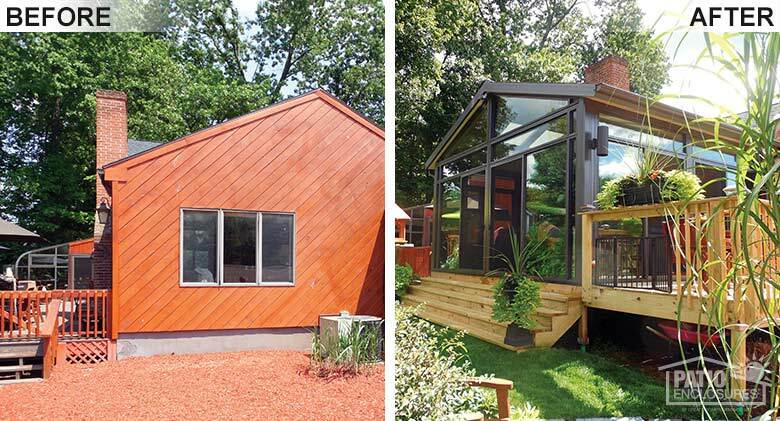 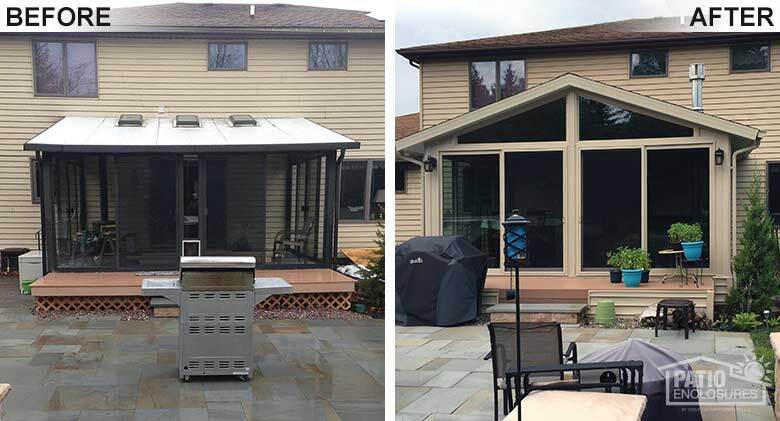 ​Check out our photo gallery of before and after all season sunrooms and start planning your unique project. 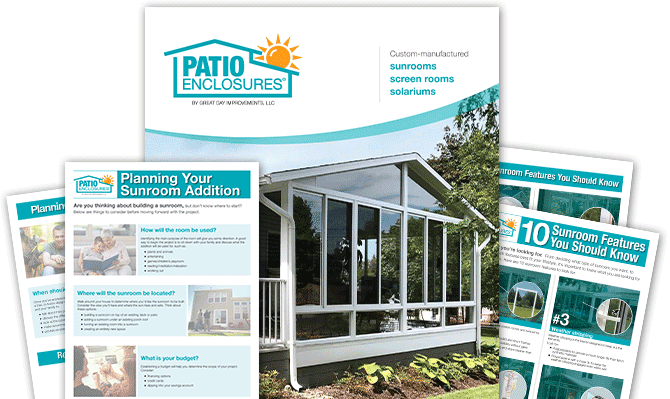 Each Patio Enclosures four season room addition is custom-manufactured to complement your home and individual sense of style. 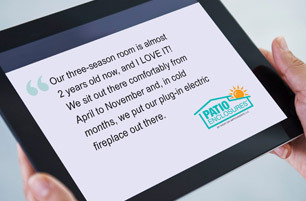 Enjoy your new all season room all day, every day, no matter the weather outside. 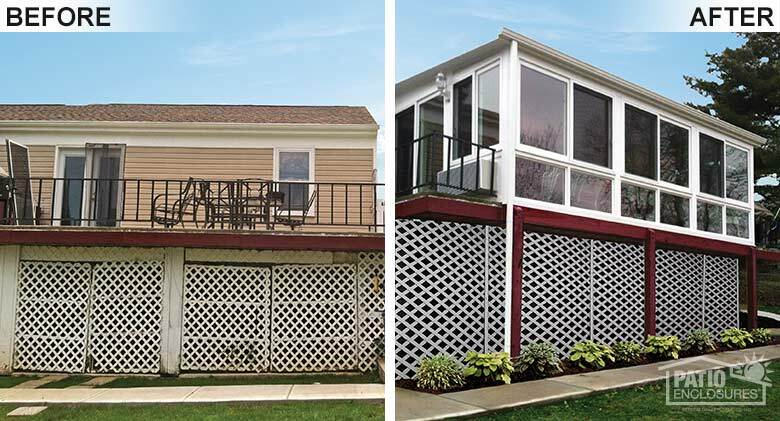 Four Season Room A screened-in porch was transformed into a four season room for more use. 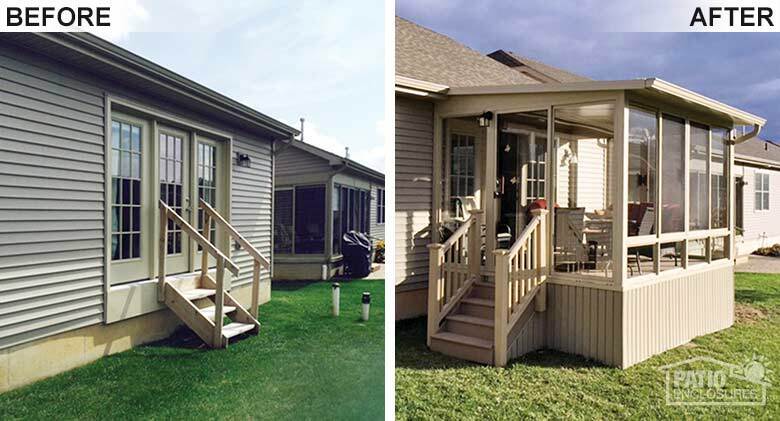 Four Season Room This porch was enclosed to provide year-round living space. 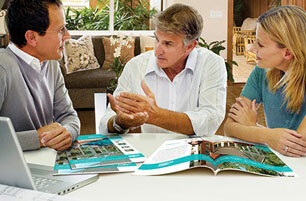 Four Season Room A four season room provides a light, bright reading room. 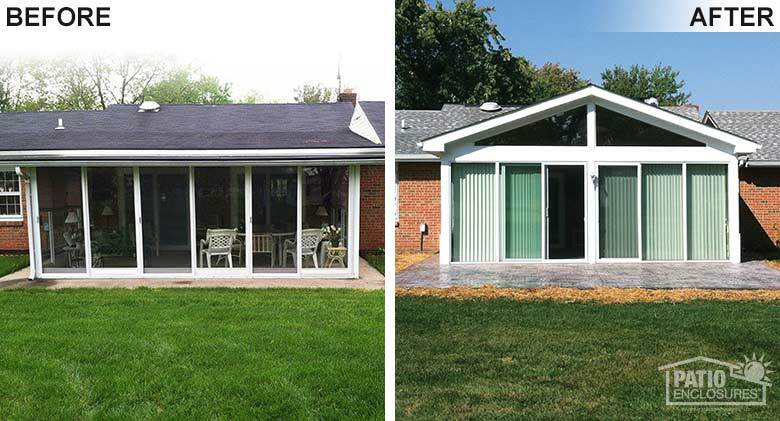 Four Season Room A Patio Enclosures roof was combined with Stanek windows and patio doors to create a unique space. 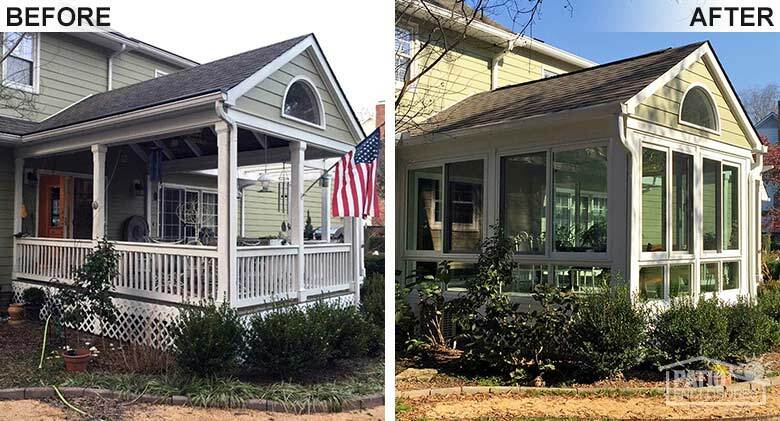 Four Season Room A rustic screened-in porch as replaced with a charming four season room to expand the living space in this North Carolina home. 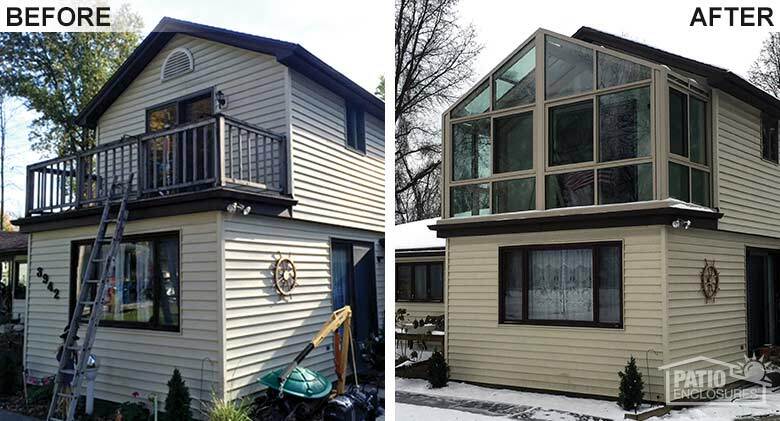 Four Season Room A brand new, four season sunroom replaces older, damaged room. 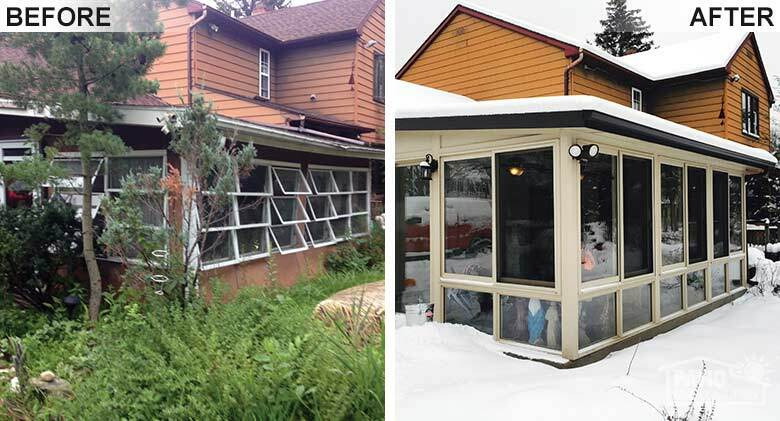 Four Season Room A storm-damaged three season room was replaced by a four-season sunroom with a vinyl frame and insulated glass for year-round comfort. 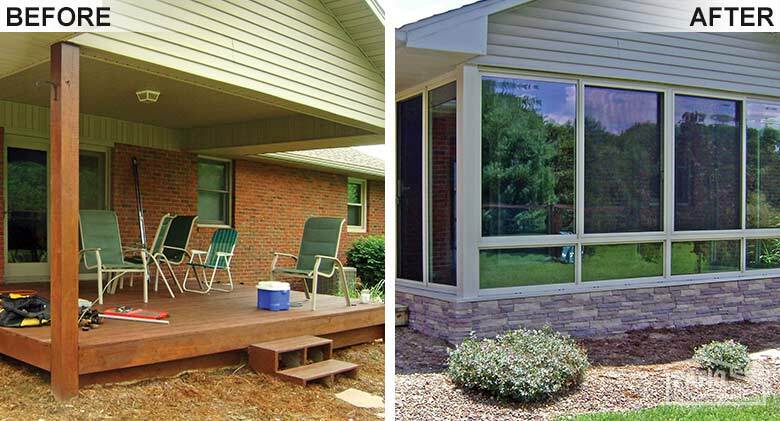 Four Season Sunroom A four-season sunroom turns an open deck into year-round living space. 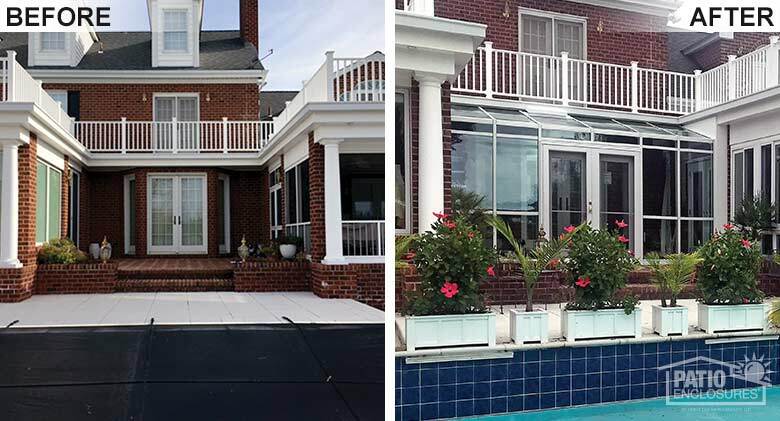 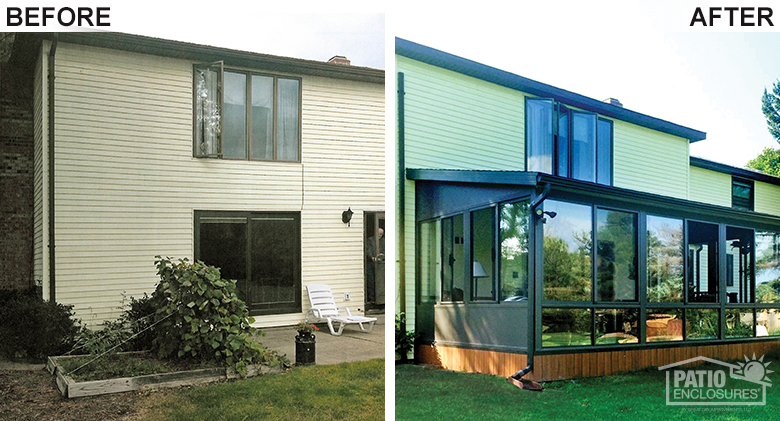 Four Season Sunroom Year-round living space replaced an open deck on this Virginia home. 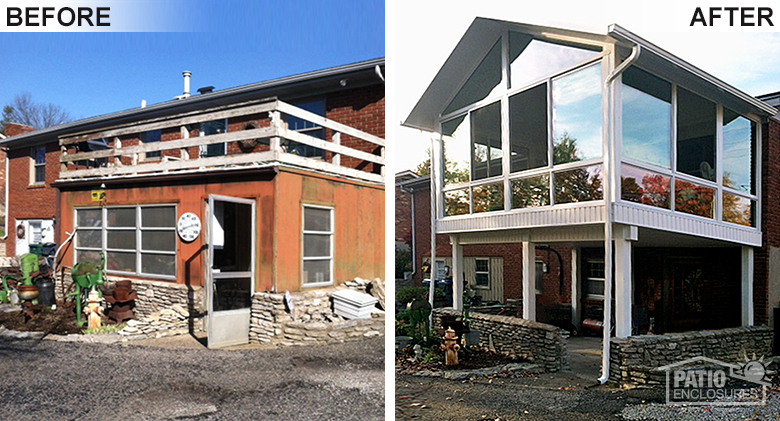 Four Season Sunroom An four season sunroom with single-slope roof replaced a deck on this Florence, KY home. 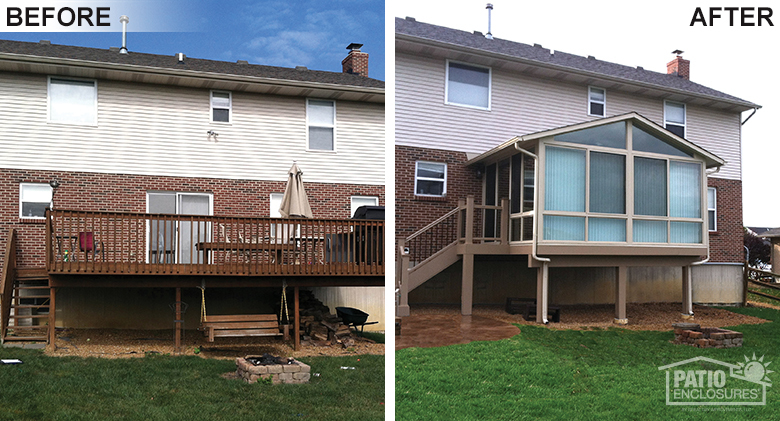 Four Season Sunroom Features an aluminum bronze frame and deck. 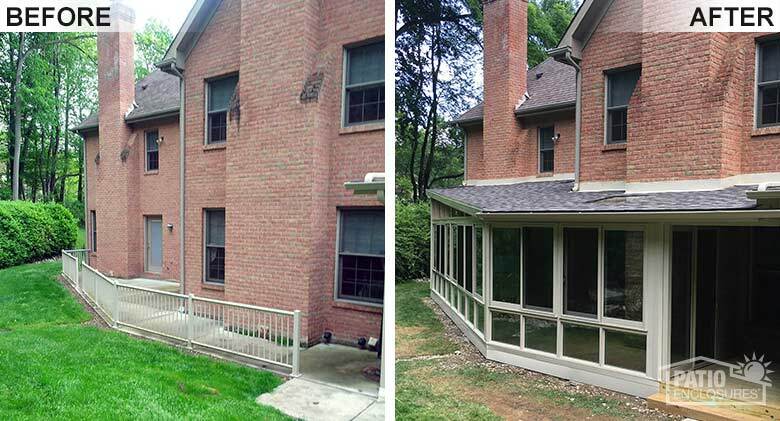 Four Season Sunroom Sandstone sunroom with gabled roof. 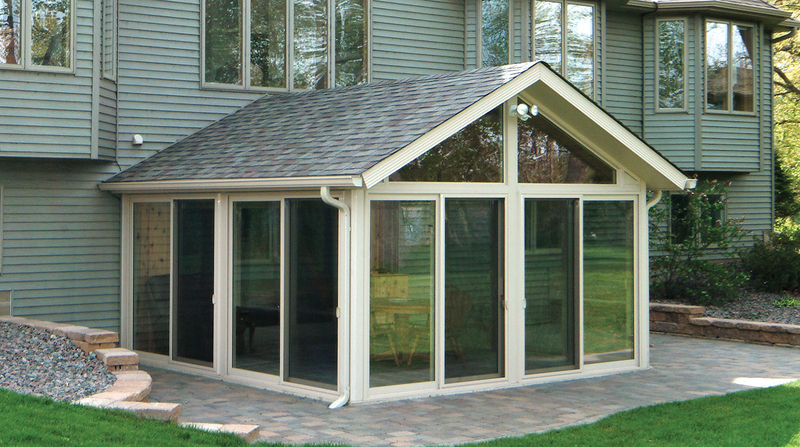 Four Season Sunroom Bronze sunroom with single-slope roof. 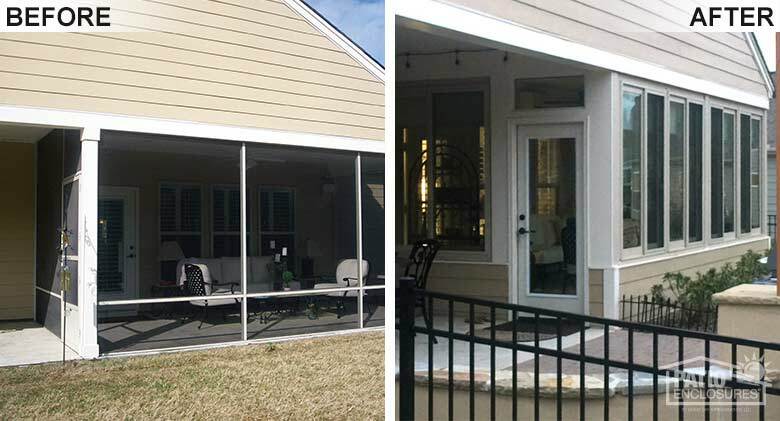 Four Season Sunroom Features an insulated sunroom with gable roof. 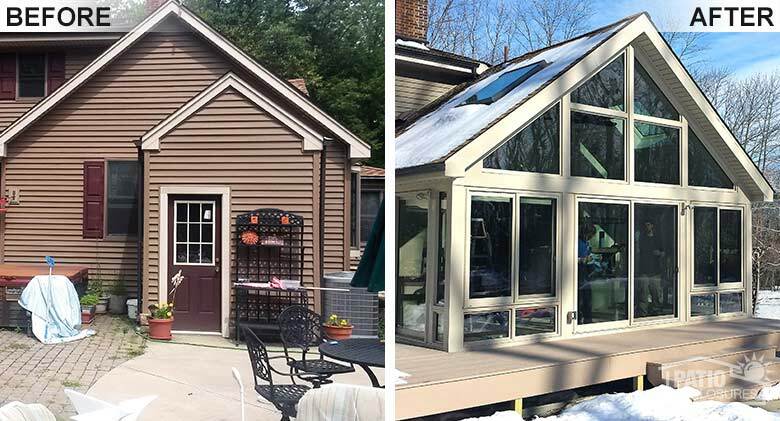 Four Season Sunroom Gabled, shingled roof and double-pane, insulated glass. 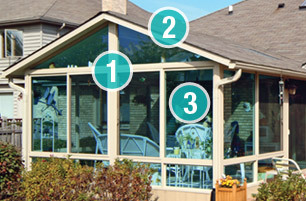 Four Season Sunroom Features insulated glass and vaulted ceiling with glass traps. 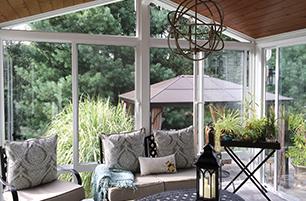 Four Season Sunroom Features a gabled roof and three full walls of glass rolling panels.